Picture it: You wake up with the sun shining through the window. You squint the sleep out of your eyes and put the coffee on. You grab your coffee and head onto the porch. All around you are low mountains, with the sun rising to the west. You sip your coffee and take a deep breath and take in the activity around you. Then, a smile comes to your face as you realize that you are in Heber City Utah and the activity around you is everyone gearing up for day one of Reggae Rise Up. For those of you lucky enough to have booked a cabin at Rivers Edge for this year’s festival, this will be you. I had one last year and it was a truly wonderful experience. Even if you didn’t get a cabin, the entire festival is certainly something to behold. 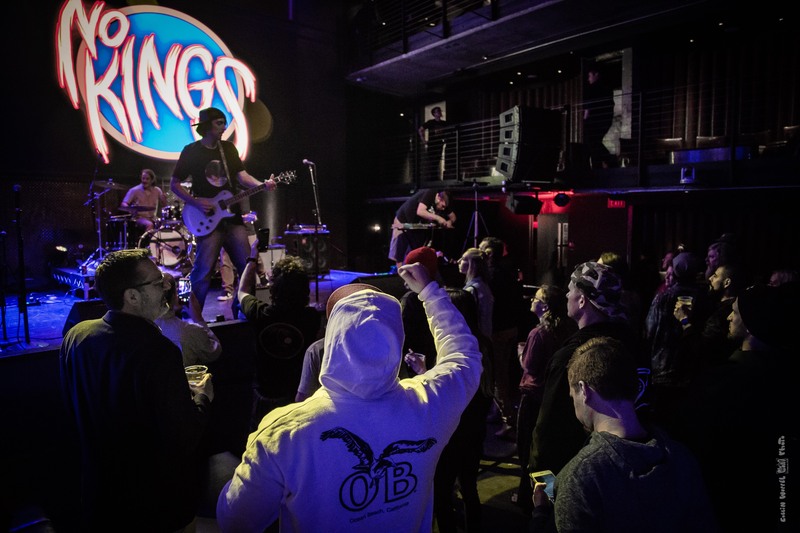 Regardless of the line-up (and this year’s line-up is top notch), the folks with Reggae Rise Up know how to put on a show and it gets bigger and better every year. Rivers Edge campground in Heber City is a great place for a festival. The scenery is great, with mountains and levees and a meandering stream – the scene is picturesque. The tent camping areas are vast and the cabins are amazing. The stages are top notch and the sound systems and lighting is thought out and planned well. With two stages, plenty of space to dance and a vendor’s village packed with food, shopping and merch tables – there will never be a shortage of things to keep you both busy and entertained. With 3 full days and nights of music this year, there is no shortage of fantastic bands to check out. 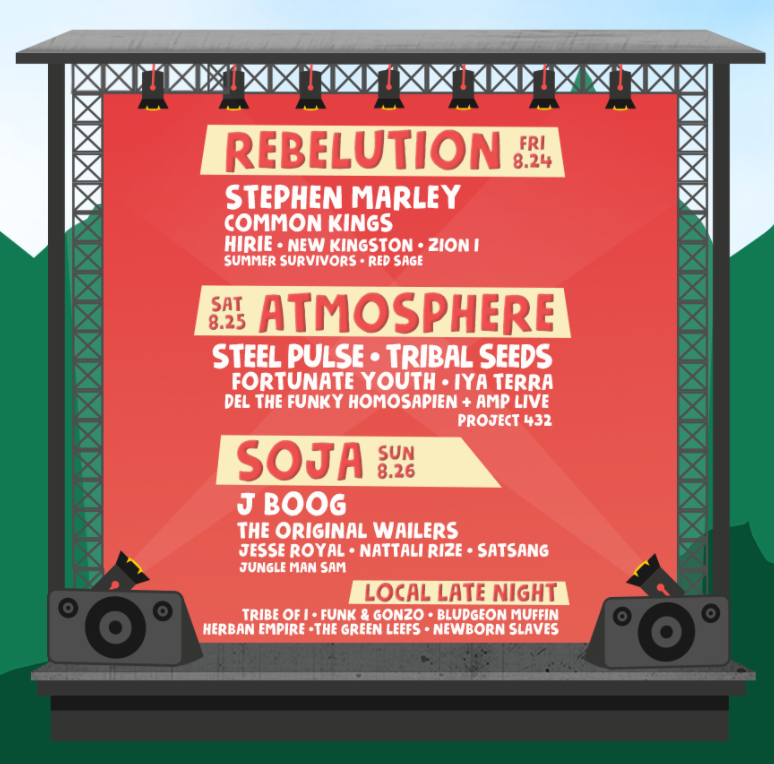 This year’s Utah line-up is headlined by Rebelution, Atmosphere and SOJA – which would be enough to bring a good crowd. Backing those 3 up is a balanced line-up that will rival any festival – including the juggernaut that is Cali Roots. With Rebelution on Friday is Stephen Marley, Common Kings, Hirie, New Kingston, Zion I, Summer Survivors & Red Sage. Playing ahead of Atmosphere on Saturday is Steel Pulse, Tribal Seed, Fortunate Youth, Iya Terra, Del the Funky Homosapien + Amp Live & Project 432. Closing out the festival with SOJA on Sunday is J Boog, The Original Wailers, Jesse Royal, Nattali Rize, Satsang & Jungle Man Sam. New this year is the local late night with Tribe of I, Funk & Gonzo, Bludgeon Muffin, Herban Empire, The Green Leefs & Newborn Slaves. If you haven’t made your plans to get here yet, do so as soon as you can. 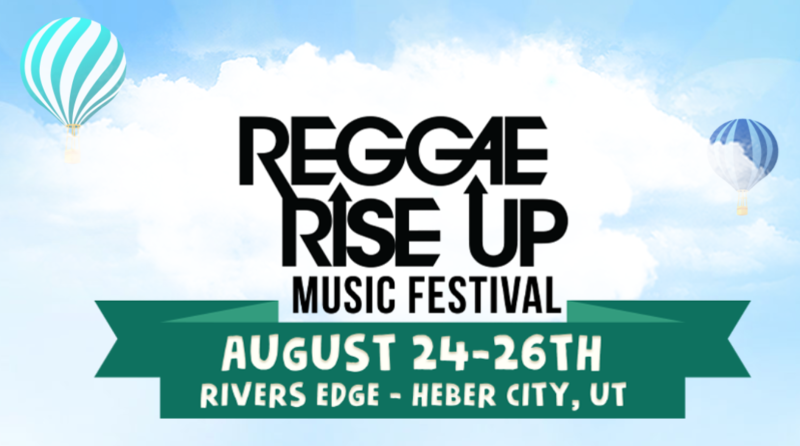 Reggae Rise Up (both Utah & Florida) are becoming must stops on the festival circuit each year and I can only imagine things getting better and better every year. Head to www.reggaeriseuputah.com to get your tickets. Camping spots are still available and there are several hotels fairly close to the festival grounds.